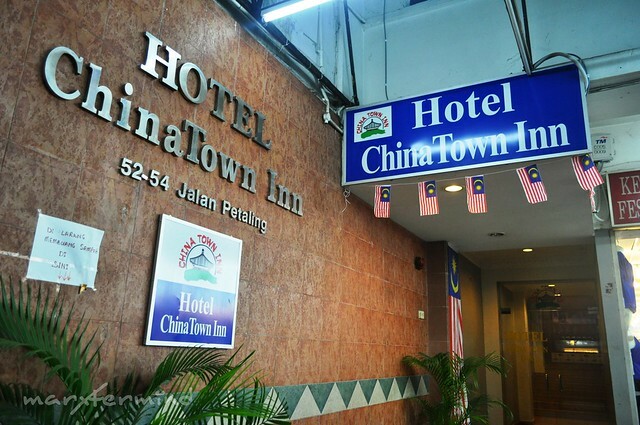 We opted to stay in one of the budget hotels located in China Town, the Hotel China Town Inn which is located at Petaling Street. 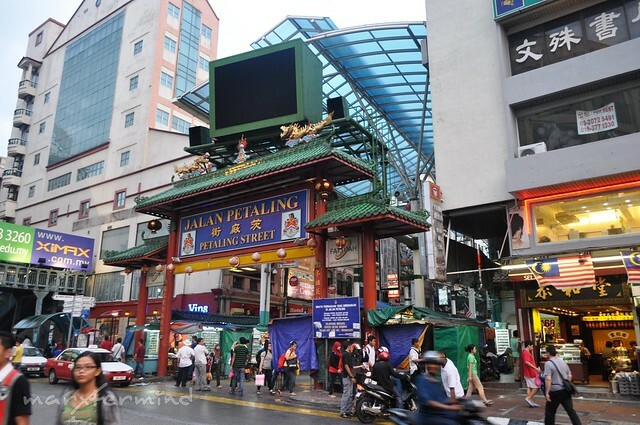 Petaling Street is a great place to get some goods at bargain prices. The street is comparable to Metro Manila’s busy streets of bizarre. From Pasar Seni Station is a 5 minutes walk to Petaling Street. We reserved our rooms through the hotel website, then paid cash upon our arrival. We’re a group of 5 so we asked for 2 rooms, 1 standard room for RM 79.90 and 1 deluxe room for RM 99.90. The three of us sharing in one room asked the receptionist if we can get the deluxe room (with 2 beds) for the three of us without additional charges. Without so much asking, the lady agreed. What I liked most about this budget hotel was they have free wi-fi and free drinking water dispenser (hot & cold). They even have computers for rent, if you need to go online. All rooms are with attached bathroom, providing hot & cold showers. The toilet was clean, the bed was comfortable and there’s a TV (and I forgot to take a pic of the room). What I didn’t like about the room was their electric socket / outlets, but the hotel provides adapter, just ask at the reception area. At 8:00 PM, we went to Jalan Alor to have our dinner. From our hotel, we walked to Maharajalela Station for about 10 minutes. We took the KL Monorail from there going to Bukit Bintang Station. 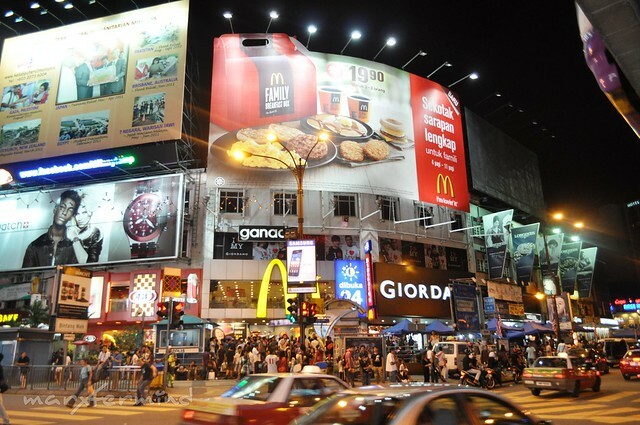 Bukit Bintang is the shopping and entertainment district of Kuala Lumpur. It is the place to many landmarks, shopping centers and eateries. 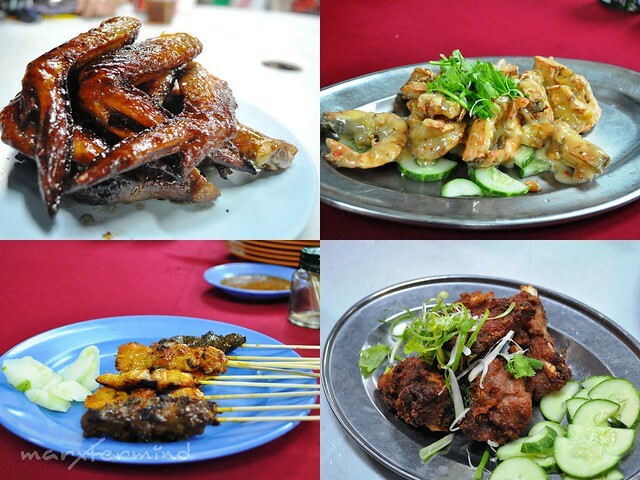 The best place to eat in Kuala Lumpur is at Jalan Alor. From Bukit Bintang station, it is a 10 minutes walk going to Jalan Alor. 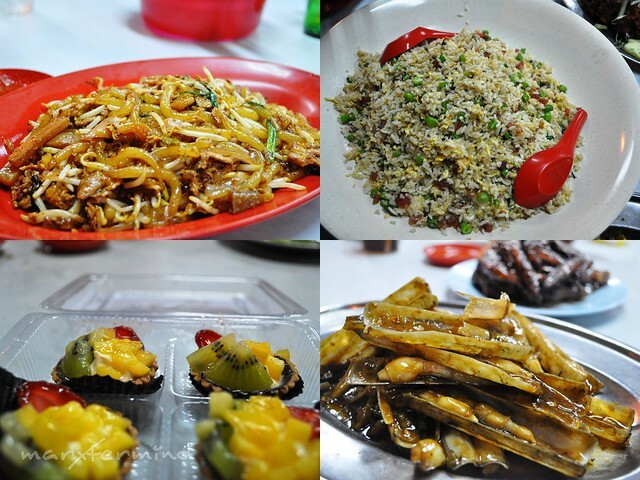 I’ve read that a must-try restaurant in Jalan Alor is Wong Ah Wah restaurant. The restaurant is located almost at the end of the street. Most of the restaurants here serve Chinese food. When we arrived at the restaurant, we looked for table then ordered. I’ve read some recommendations to try the grilled chicken wings and bamboo clams, so we ordered those. Then we added fried spare ribs, fried pork chow fan and noodles made of rice (forgot the name). We spent approximately RM 22.00 each for our dinner. We had our dinner here again the next day. But this time dinner with Mica of Senyorita and her friend, Edward. We ordered the same grilled chicken wings and pork chow fan but to taste other food on the menu, we ordered shrimp and chicken – pork satay. Going back, after our first dinner at Jalan Alor, we’re off to meet Neil, our friend’s friend whom we asked favor to buy our transfer tickets to Genting Highlands. I’ve read that tickets to Genting Highlands were sold easily so it’s recommended to buy ahead of time. 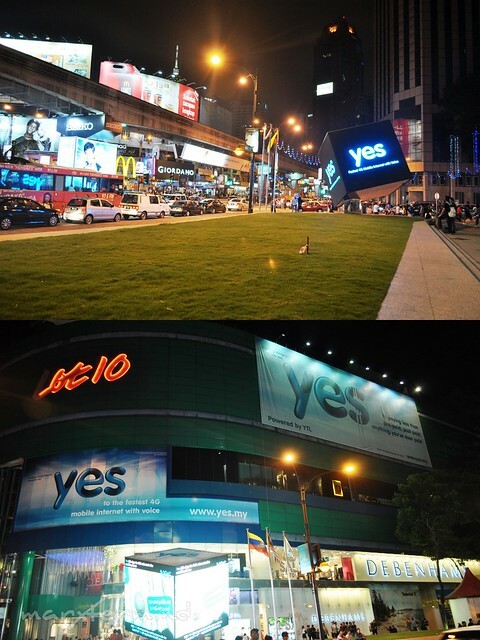 We agreed to meet at Kota Raya Mall near China Town at 10:00 PM and it’s already 15 minutes to 10:00 PM. We planned to take a taxi but the traffic is horrible so we opted to take the KL monorail. When we arrived at the Monorail station, we thought that the counter for the other side of the monorail is also at the other side (feeling MRT and LRT lang sa Metro Manila), so we crossed to the other side. When we got to the other side, it’s nothing but a path leading to the street. So we went back to the station knowing that there’s only one counter for both transit. It was already 11:00 PM and we were already tired so we just decided to rest at our rooms and continue the tour the next day. Kota Raya Mall is just 5 minutes walk from our hotel. @Ian, Actually I don't feel like I'm out of the country. If it's not because of Petronas Tower then there's nothing much to see there. Hehehe! But KL is a good city, indeed. Malaysia is one of SEA countries that I find few sights to see and explore within the city limits unlike our Manila but I hope you get the best of KL.